Miss Tyson is the latest in my American Women Cookbook Authors series. The first three Maryland cookbook authors - Elizabeth Ellicott Lea (1845), Tyson (1870) and Jane Howard (1873) - were related by marriage. 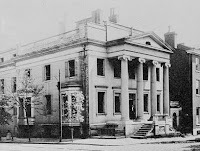 Rebecca Ann Key (1809-1889, daughter of Philip Barton Key, FSK’s uncle) married Dr. William Howard (1793-1834), son of Col. John Eager Howard, in 1828 and lived in a grand Greek revival mansion which he designed (he also designed the McKim school). In 1837 Rebecca married her second husband Dr. Alexander H. Tyson (1809 or 1812-1859) who was the son of Nathan (1754-1819) the uncle and namesake of Martha Ellicott's (sister of Elizabeth Ellicott Lea) husband Nathan Tyson. He was also the uncle of Thomas Tyson who married the twin sisters of Elizabeth and Martha Ellicott. Mary Lloyd Tyson was their daughter. Mary Lloyd Tyson, in her 30s, married George J. Tucker (1824-1903VA buried in Baltimore) in 1875 in Preston County, WV, lived in Tucker County, WV in 1880, and by the 1890s was in Clarke County, VA. They had no children, separated in 1894 and then Mary went to court to get the annuities from his parents' estate. As detailed below, she became interested in the church building-fund while visiting Oakland. She was given the land by a Baltimore architect and raised money through the cookbook sales with recipes compiled from friends, relatives and other books (ie. EELea's Domestic Cookery, 1851). The first edition in 1870 was published by Lucus Brothers in Baltimore for charity. The church was finished in 1874, debt free. A second edition, not for charity, was published in Philadelphia in 1874 and increased the 288 pages to 412 and was advertised for $1.75 or $3.00 gilded. 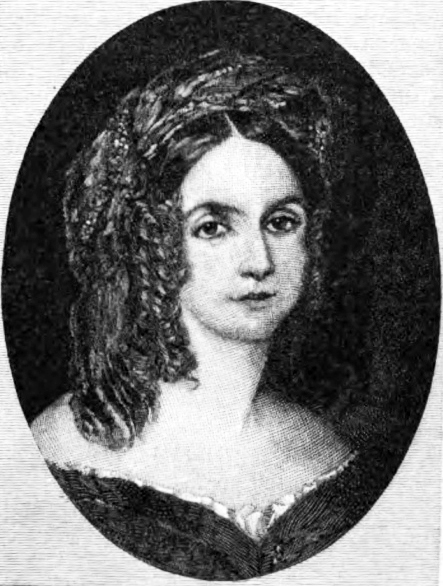 Mary Lloyd Tyson married the next year. For the last two printings, in 1882 and 1886, the title was changed from "Old Maryland" to "southern cooking" and was still published in Philadelphia. It is not clear why Mary Tyson didn't have her married name included with the change of title. Maryland's first 3 cookbook authors were related through marriage. Elizabeth Ellicott Lea (1793-1858) wrote the first cookbook by a Marylander. The Ellicotts, like the Tysons, were wealthy Quaker merchants and mill owners. Her father George Ellicott helped develop and lived in what would become Ellicott City, and three of his daughters married a great-uncle and a cousin of Mary Lloyd Tyson. Jane Grant (Gilmor) Howard (1801-1890) married the son of RevWar hero Col. John Eager Howard. BC's brother was Dr. William Howard, the first husband of Mary's mother. Another brother, Gov. George Howard's country home "Waverly" would live on in both their books as "Waverly Jumbles." The purpose which induced the publication of this volume, is as unusual as its merit is independent of a more intrinsic value, and the sole object of any pecuniary benefit that may result from it, is to accomplish the erection of a Protestant Episcopal Church in the town of Oakland, Maryland, situated on the summit of the Alleghany Mountains. A most excellent charity. "The Queen of the Kitchen " is not now presented as a stranger, for she attained immense popularity upon her first introduction to the public, when she made so many friends, and met with so cordial a reception, that, at the earnest solicitation of those who are in need of a good practical receipt-book, the author determined to publish this new, enlarged, and complete edition of "The Queen of the Kitchen." She has made an addition of several hundred receipts to the book as originally issued; and is certain that all who will give it a fair trial, will acknowledge that it excels all other Cook-Books in practical cookery, and it will be found to be equally as well adapted to the wants of the young as to those of the experienced housekeeper." Only the first 1870 edition mentioned the church - "The purpose which induced the publication of this volume, is as unusual as its merit is independent of a more intrinsic value, and the sole object of any pecuniary benefit that may result from it, is to accomplish the erection of a Protestant Episcopal Church in the town of Oakland, Maryland, situated on the summit of the Alleghany Mountains. A most excellent charity." The church was built on land donated by the architect Josias Pennington (1854-1929) of Baltimore, in 1871 and finished debt free in 1874. Pennington was starting as a draftsmen for E. Francis Baldwin (1837-1916) in the 1870s then they formed a partnership, doing many of the buildings for the B&O railroad. The church closed in 1939, sold in 1946 and then was moved to Coraopolis, Pa (north of Pittsburgh). Many years ago Miss Mary Lyson [Tyson], now Mrs. George J. Tucker, of Baltimore, whilest spending the summer in Oakland conceived the idea of building a church. The late Josiah Pennington, also of Baltimore, conveyed to Miss Lyson a building lot for that purpose for a nominal sum. She then, through her own means and contributions from friends [she compiled a charity cookbook], erected a church, which has since been used by the Protestant Episcopal congregation. Miss Lyson, however retained the title and still owns the property. She desires Mr. Hipkins to continue as rector and the status seems to be this: Mr. Hipkins has a church without a parish, and the vestry has a parish without a church. On June 2, 1892 The Sun reported that "Mr. Hipkins retires", ending the litigation. Mrs. Mary L. Tucker of Clarke county, VA had conveyed the property to him, and since she would not allow him to transfer the title to the bishop he signed it back to her. The Queen of the Kitchen : a collection of southern cooking receipts, containing over one thousand southern receipts in practical cookery. Philadelphia : T.B. Peterson, 1882. The Queen of the Kitchen: a collection of Southern cooking receipts. Miss Tyson. Phila: 1886 412p. Mary E. Roberts (died 1896) married William Fielding Lucas (1819-1897) who took over the stationary and printers that his father Fielding Lucas (1781-1854) had started (Lucas Brothers) in 1804. My 1870 copy was owned by Isabella (Lyons) Mordecai (1804-1896) -- "Mrs. M. C. Mordecai 156 St. Paul St. Baltimore." One example of the support of the wives of wealthy business owners for the project and/or friendship with the author. Moses Mordecai (1804-1888) was a prominent shipping merchant in Charleston SC, active in his Jewish community and in the South Carolina Senate. During the Civil War he supported the Confederacy, and his ship 'Isabel' (named for Isabella) took Major Robert Anderson and his staff from Fort Sumter to the Union ships, then it became a blockade runner. By 1868 they moved with their sons to Baltimore and continued their steamship line at 45 S. Gay St., which operated between Baltimore, Charleston, Havana and New Orleans. In 1870 he transported the bodies of 84 soldiers killed at Gettysburg back to South Carolina for free. Mary was born into a prominent milling and merchant family. Elisha Tyson, her grandfather, was a well known Quaker abolitionist and early philanthropist. Her father Isaac Tyson married Elizabeth Thomas, the sister of one of the founders and first president of the B&O railroad (started in 1827) and another Thomas sister married into the Ellicott family. All were prominent Quaker families. Never married, Mary and her father moved in with her sister Henrietta and John Saurin Norris, Jr. In the 1880 census after her father and sister had died, Mary, 77 sister-in-law was still living at 217 Madison Ave., Baltimore with the 67 year old bank president and his three unmarried children in their 30s. When their four children were being born, John and Henrietta lived at his family's home and farm "Olney" in Hartford County (which is north of Baltimore, towards Philadelphia), from 1842-1850, and named their second son John Olney Norris. Baltimore city homes - Mary L. Tyson at 217 Madison (the same block as Martha Ellicott Tyson, EELea's sister at 299 Madison) and Jane Howard at 220 N. Charles were just a block from each other in the 1870s and 1880s.